I have cast on a new project. I have designed a yoked sweater to make for my four year old daughter. 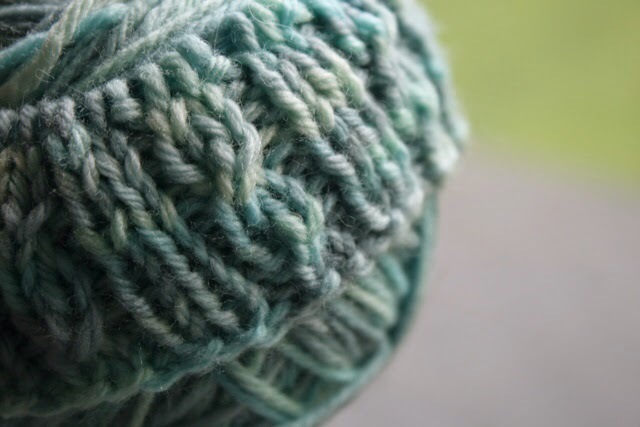 It will have decreasing vertical cables on the yoke. 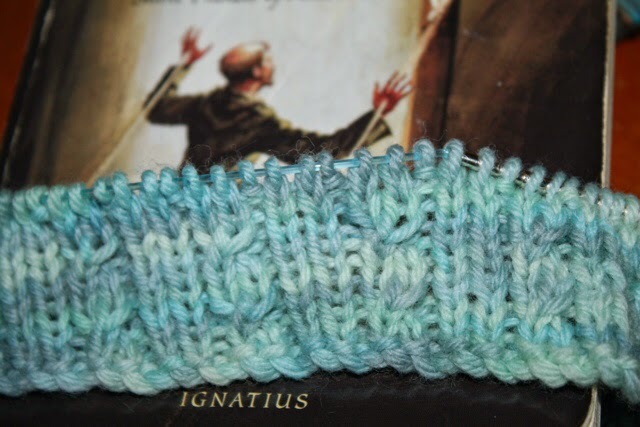 The yarn matches her eyes very well and it's taking to the cables well. 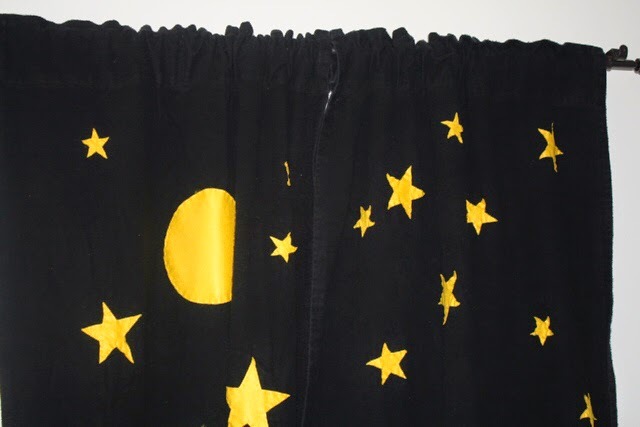 In other crafting news, my parents came this weekend and my mom bailed me out of the black curtain black hole. I had one panel, still too short with one moon and one star on it. Mom lengthened both pairs and sewed the stars on. They came out so well and I am so thankful for her help! 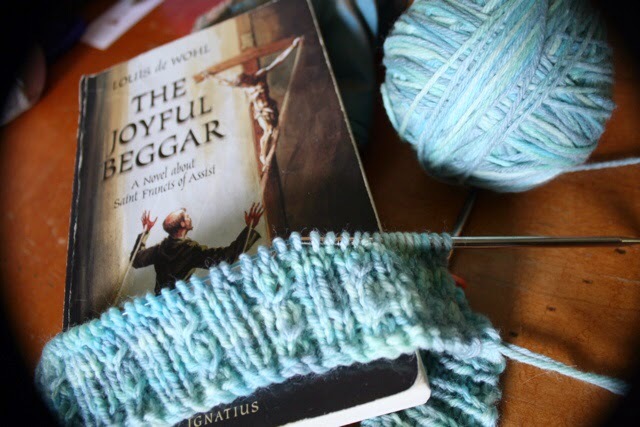 I am reading The Joyful Beggar by Louis De Wohl, lent to me by a kind neighbor. It is about St. Francis, but isn't a direct biography but a novel that weaves his life in with the important events of his time. When he writes about St. Francis and St. Clare, he does a good job of showing their personalities and their heart. Even though their love for God was very straightforward, I'd imagine it would be hard to depict. The novel also gives a good look at Innocent III and the German emperors. Though it is a bit heavy at times, I'd say that his writing is good and spiritually enriching overall. I'm certainly planning on reading more of his novels! I am sharing this on Small Things and Frontier Dreams.